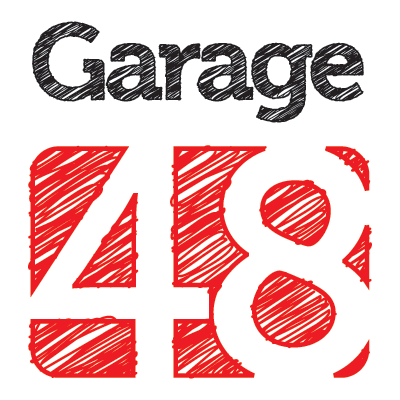 For the first time Lviv will host Garage48 hackathon Nov. 4-7 at N-iX. Later the event will move further to Kyiv and Odessa. A weekend long intensive development event is an opportunity to turn ideas into working prototypes in 48 hours. Participants will be working out new web, mobile applications and bringing new startups into life. According to Garage48 coordinators, the events usually start at 5pm on a Friday evening. All participants gather in a big room and pitch about 30 to 40 ideas on stage. Each idea is put on the wall and everyone can choose his or hers and a team. Usually, about 12-15 ideas are selected and the teams start working. Organizers provide facilities, mentors, food and drinks over the weekend, while teams are working on their projects. Sunday night 5pm is the deadline to step on the stage again and live-demo the project or prototype. Then, the jury and audience vote for their favorites and choose the winners. Participants receive a good opportunity to get spotted for further development of their projects or prototypes, since the event is backed by Garage48 Foundation, a networking organization for majority of Estonian startup founders, which was started in Estonia in spring 2010 by 6 active entrepreneurs from Estonian Startup Leaders Club. However, organizers of the event emphasize that it is not a startup competition to get funding. The main idea of the event, they say, is to build startup community, find new friends and meet people, build something cool in 48 hours. Participants might get financing as well, as there will be mentors on-site and on-line, but that is not the main goal. “It is mostly about a very cool experience of building new products in 48 hours, meeting and working with new people whom you probably would not meet otherwise,” – coordinators add. The event will be preceded by meeting with Ragnar Sass, a startup rock star from Estonia and co-founder of Garage48 and Pipedrive. The meeting will be held on Oct. 23, two-weeks before the start of the main event, at Lviv business incubator Startup Depot. The main topic of the meeting will cover the question of how to build successful internet startup for world market from Eastern Europe. Update: Garage48 Lviv Winner is marketing good deeds!28 ideas got pitched on stage and 13 of them presented working prototypes on Sunday (9th November) in N-iX office. The jury selected AimMe, a web platform to support making good deeds, as the overall Winner! One of the 7 team members of AimMe is Mykola Kavf, a back-end developer at N-iX and the one, who has made the company proud at the event.